In theory, things have settled a little bit here. In reality, they so have not, but it is really for the best, and while the craziness of my life right now is completely exhausting, and overwhelming, it also is completely thrilling, and honestly, such a blessing. ...I won! 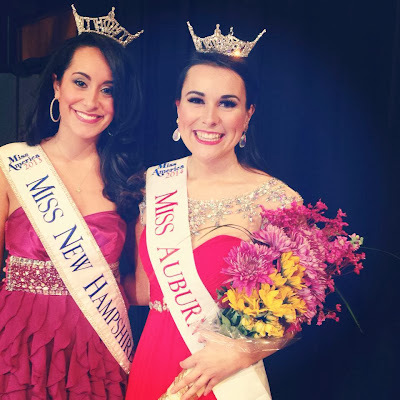 I'm not kidding, I was crowned the new Miss Auburn 2014, and I am headed to Miss New Hampshire this May! I am thrilled, and surprised, and humbled, and simply so excited to have this opportunity. The people in this organization are phenomenal. I could not be more grateful to have been blessed with an outstanding director and an exceptionally welcoming Miss NH group of sisters. Honestly, I am less than two weeks into this organization, and I am floored by all that they have to offer. And! To top things off, I'm starting an internship in just a week. A dream internship really. It's for a very small event-planning/boutique/specialty store, local to where I go to school, and between the ladies that run it, and the vision and design concepts behind it, I cannot possibly think of a better fit for me. All fingers and toes crossed, these two major stepping stones that have come together - rather perfectly, and unexpectedly, since November, are shaping up to be the starting points of a very big year.